A sinkhole in Southeast Washington left a Metrobus stranded in the middle of the road and two vehicles teetering on the edge of the large hole. 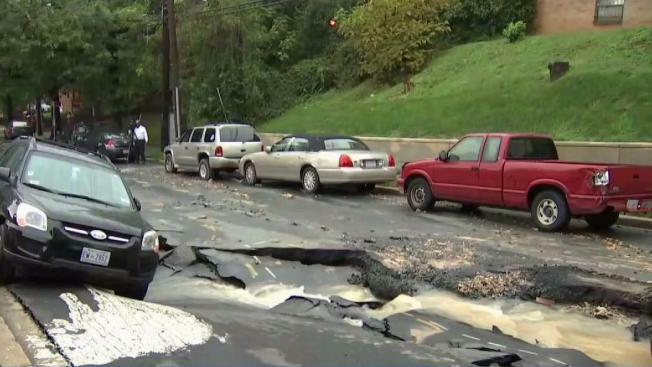 A break in an 8-inch water main caused the sinkhole along 6th Street SE early Tuesday morning. 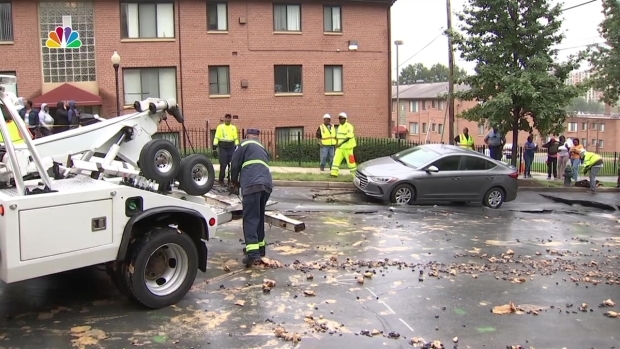 “We don’t know how many cracks there are, but it was a significant opening, enough that a considerable amount of water escaped,” said Vince Morris of DC Water. A photo from the scene shows a Metrobus stopped in the middle of the road while two parked vehicles sit just inches from the giant cracks in the road. The bus eventually made it off the road, and tow trucks pulled the cars to safety. Residents in the area were without water for most of the day, including, Bob Trapps, who said it was a result of nature taking its course. "This is something we have no control over," he said. But ANC Commissioner Chris Hawthorne blamed new development in the area for putting new pressure on old pipes. “If you don’t maintenance the pipe like you are supposed to, although you are taking the fee from us, then this is what’s going to happen, and this can happen anytime,” he said. “Matter of fact, we probably have five more of them popping up right now, and we just don’t know, but until then we need somebody from WASA (District of Columbia Water and Sewer Authority) to come out here and speak to the community and not hide behind their desk when situations like this happen to us." While water was restored in the area, Mississippi Avenue SE will remain closed between 6th and 7th streets for days as repairs are made. Metro said buses to Anacostia would detour at Mississippi Avenue and 4th Street SE because of the sinkhole.